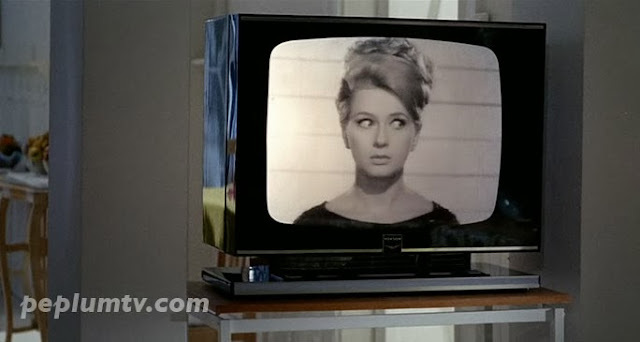 Fellini's JULIET OF THE SPIRITS (1965) has a host of PEPLUM stars in it. It's a virtual who's who. 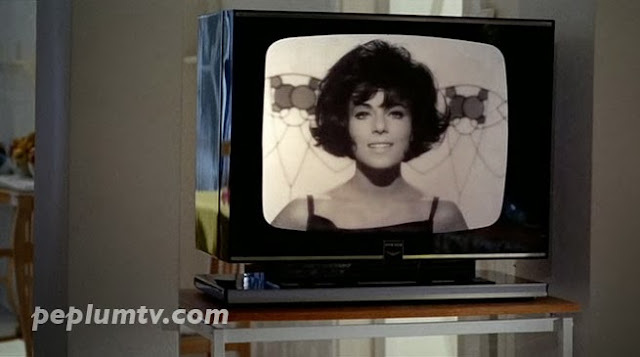 It was released in 1965 when the PEPLUM explosion died. There many more than the one listed here. There's Mino Doro, Claudie Lange, Dakar, etc. Dina De Santis, who was in HERCULES AGAINST ROME. She also appears as a different character in the film. What's a Fellini film without a brief appearance of a muscleman? Well there are about 4 or 5 'bodybuilders' in this film but above is Nadir Moretti, who was in several PEPLUM films including HERCULES AGAINST THE MONGOLS and was Samson in SAMSON AND THE MIGHTY CHALLENGE. Nadir would also appeared briefly during another part of the film. Another muscleman who's not credited but he's called Alberto in the film. Mystery bodybuilder who's not credited. This is not Nadir Moretti. Sorta looks like Dan Vadis. Most interesting to know who these men were.. They a certain charm and spice to the film .